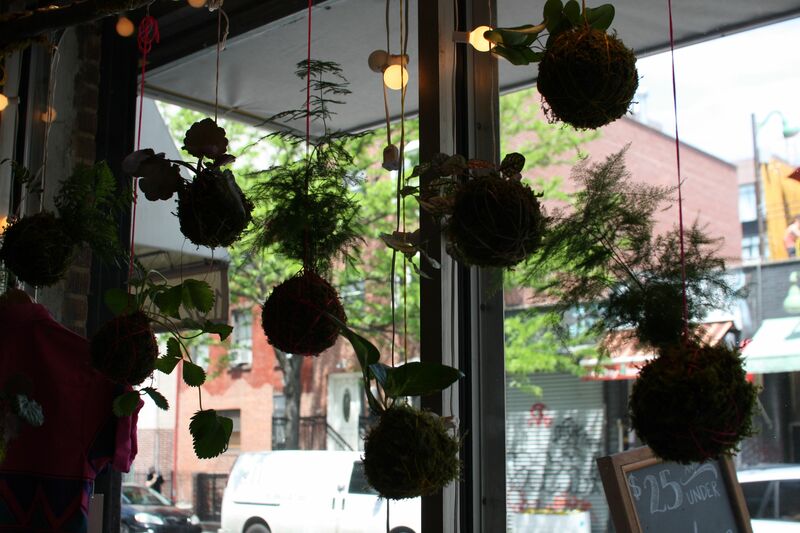 I recently created a kokedama installation in the window of Awoke Vintage in Williamsburg. 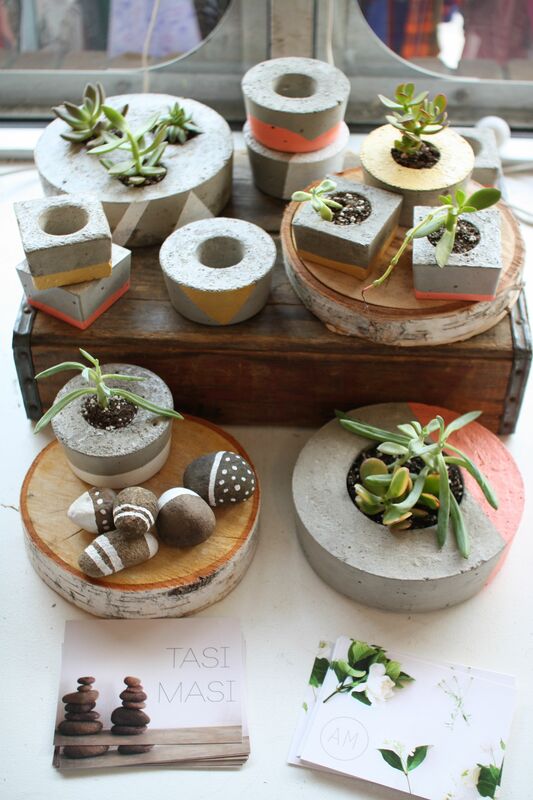 Awoke are also now selling my Tasi Masi concrete planters and the kokedama are also for sale. 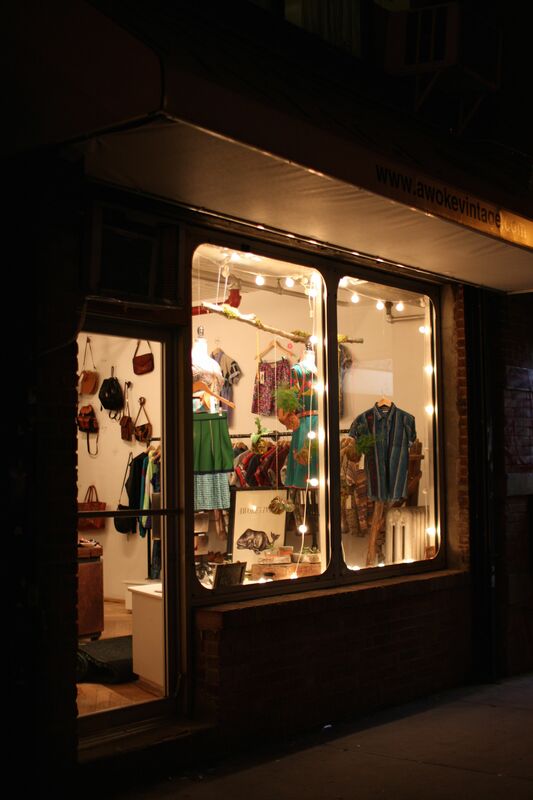 Awoke has the most beautiful vintage clothes and accessories and it’s an honour to have my products sitting amongst them! 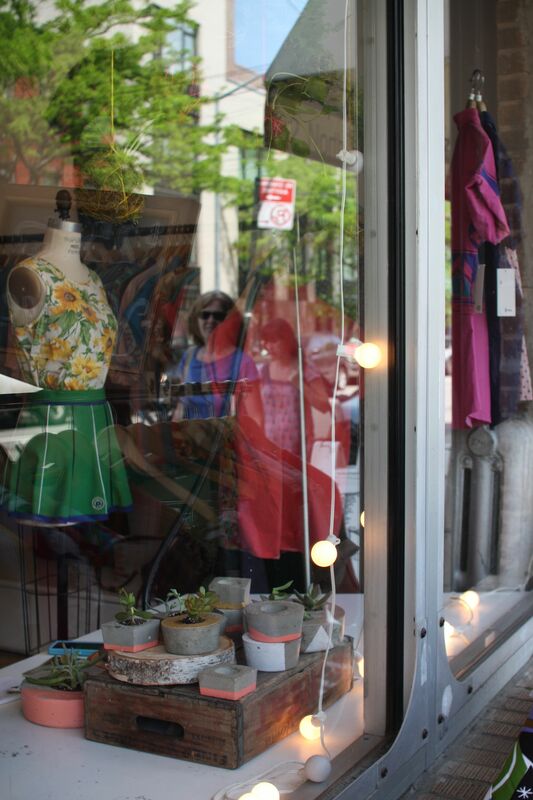 Please stop by and take a look if you’re a New York local. 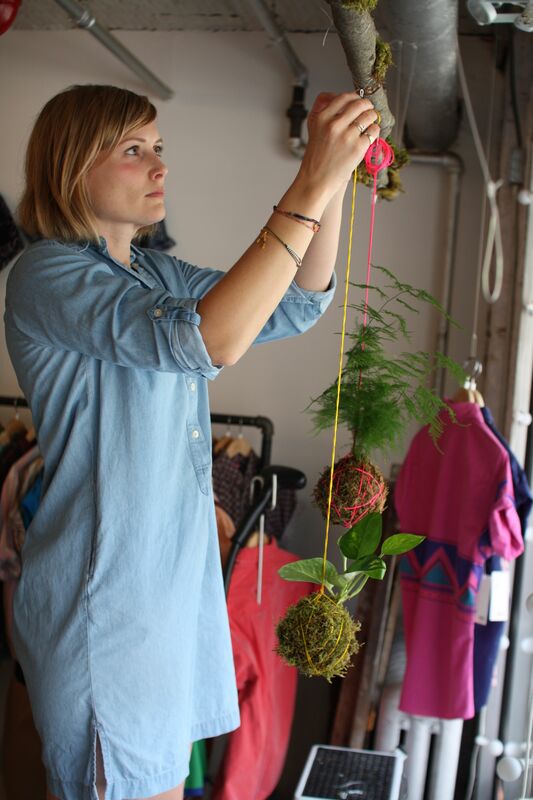 The kokedama installation will be in place for another week. A bit of installation action! 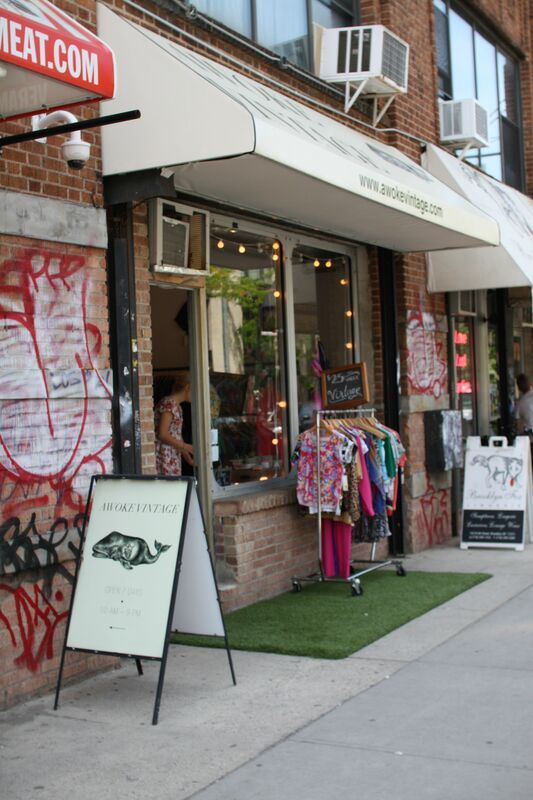 31 May	This entry was published on May 31, 2014 at 2:57 pm. 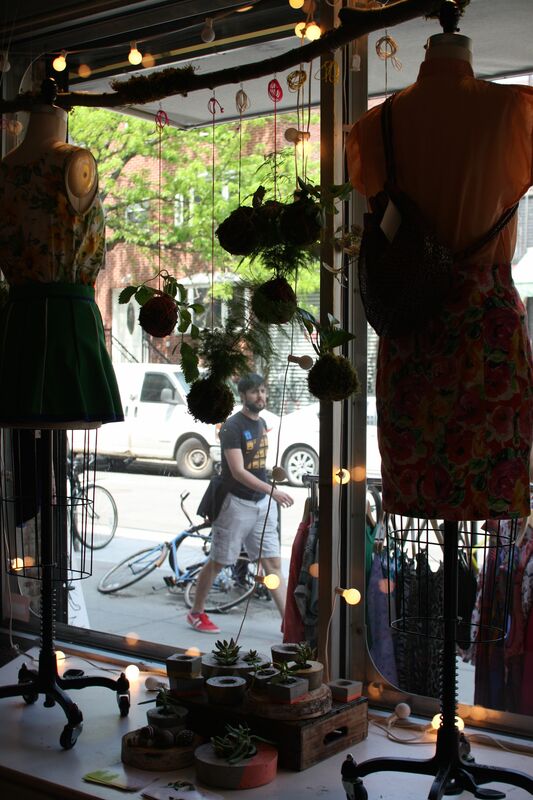 It’s filed under grow, tasi masi and tagged brooklyn, concrete, green, grow, kokedama, nature, new york, plants, products, tasi masi, USA, vintage, work. Bookmark the permalink. Follow any comments here with the RSS feed for this post. 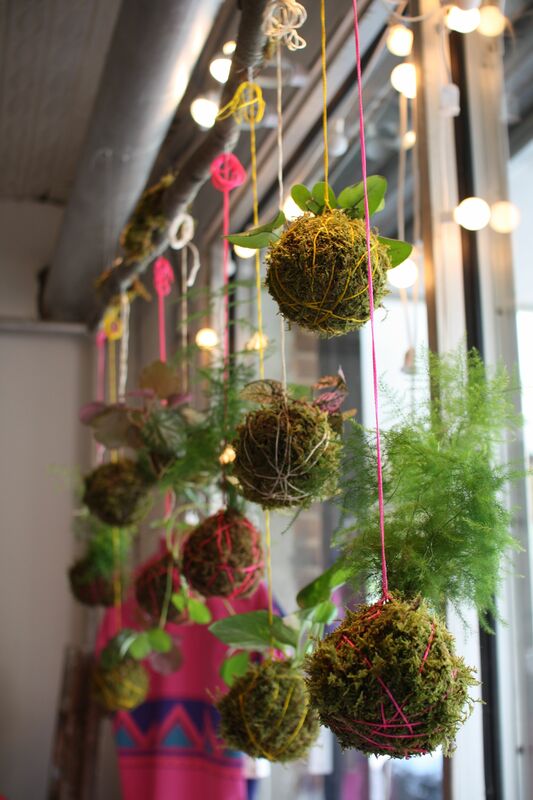 What kind of string is the colored strings that you use to hang the Kokedama balls? Do you have a source pls? Thank you!